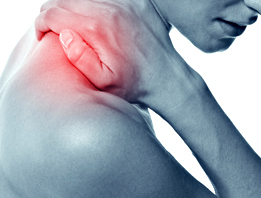 Polymyalgia Rheumatica is an inflammatory disorder that causes pain in the shoulders and/or the hips. Normally, it occurs in people who are 50 years old or older and so far, the cause is unknown. It is occasionally partnered by giant cell arteritis, known as temporal arteritis, which causes the inflammation of blood vessels in the head. This disorder may come before, during, or after Polymyalgia Rheumatica. While the main symptoms are usually pain and stiffness in the shoulders and neck that can spreads to the hips. Fatigue also may increase, along with anemia, appetite loss, weight loss, depression, and fever. These symptoms make it more and more difficult for patients to get around. For those who also develop giant cell arthritis, more serious symptoms can include heart attacks, strokes, or sudden blindness. If your physician suspects the disorder, they will refer you to a doctor who specializes in Polymyalgia Rheumatica. In Hollywood and Pembroke Pines, FL, those specialists are Dr. Wayne Riskin, Dr. Charles Kahn and Dr. Yesenia Santiago-Casas. These specialists will perform tests to confirm the diagnosis. There is no one test that can definitively prove Polymyalgia Rheumatica. If you’re in need of treatment for Polymyalgia Rheumatica in Pembroke Pines or Hollywood, Dr. Wayne Riskin , Dr. Charles Kahn and Dr. Yesenia Santiago-Casas have extensive training and experience with this disorder. While there is no cure, they can discuss your treatment options which can help alleviate symptoms until the disorder passes. Although the disease will eventually subside on its own, it’s important to get treatment in order to prevent serious disabilities.